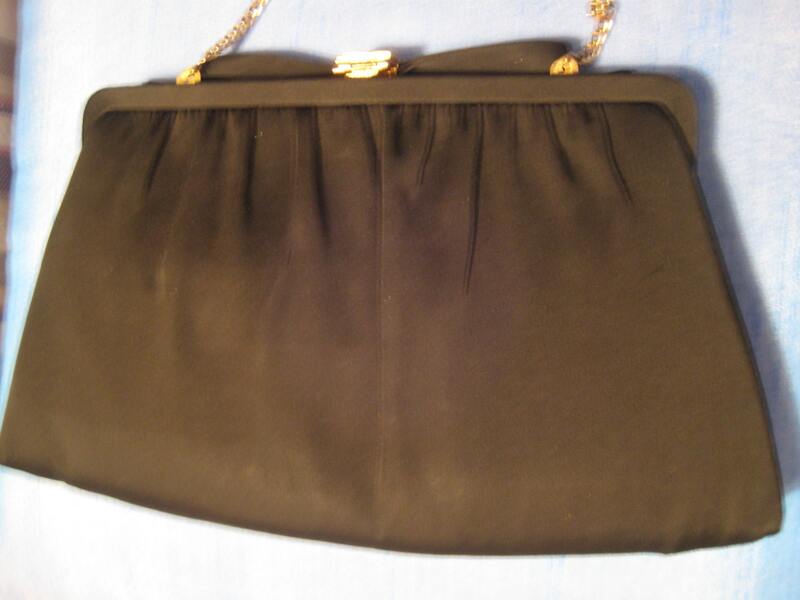 Gorgeous black satin clutch from After Five. 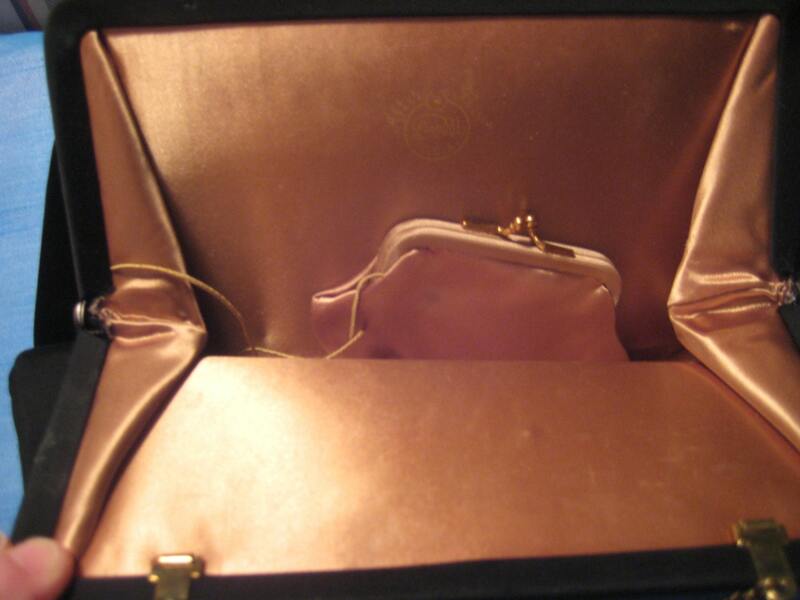 Includes the signature original satin change purse! 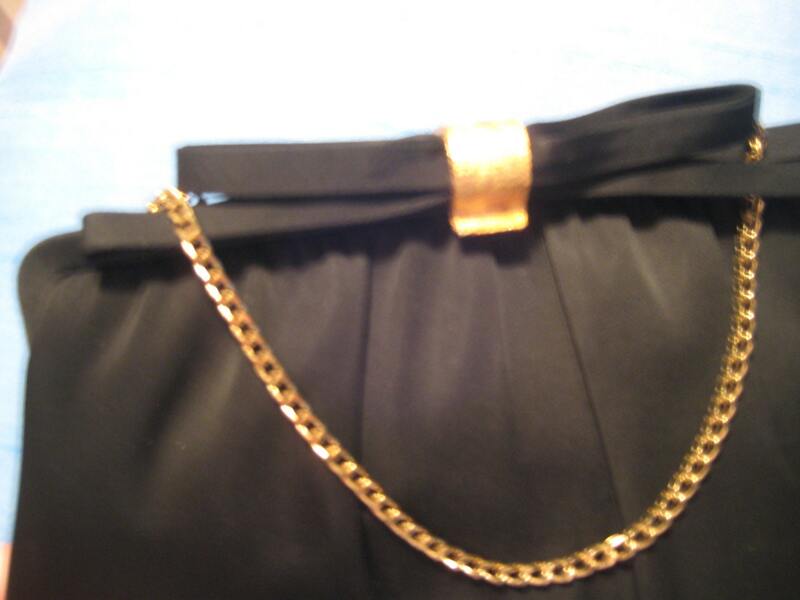 Black satin body is lovely with gold tone metal frame and spring latch. Pretty satin bow along the top. Gold tone chain has a 5 inch drop. 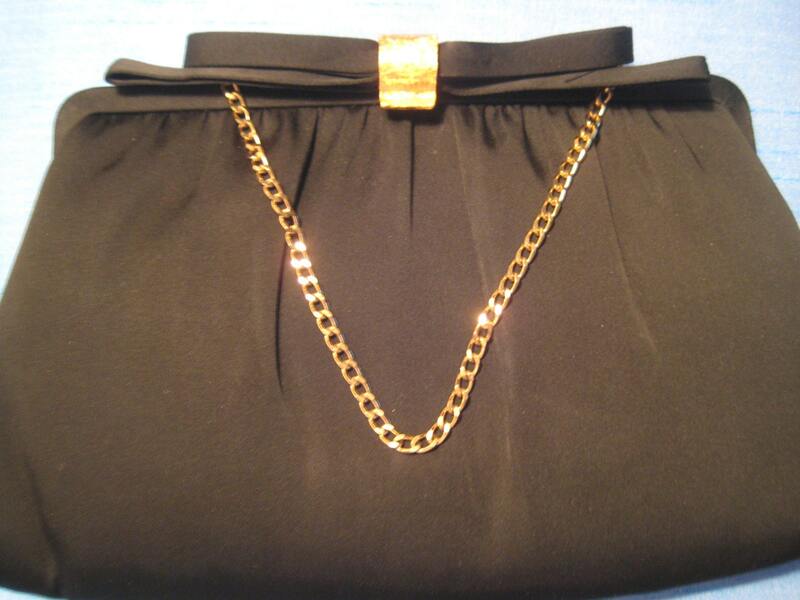 Chain folds into the bag to use as a clutch. Clean gold satin lining. Matching change purse is attached. Roomy interior will hold your essentials including a smart phone. 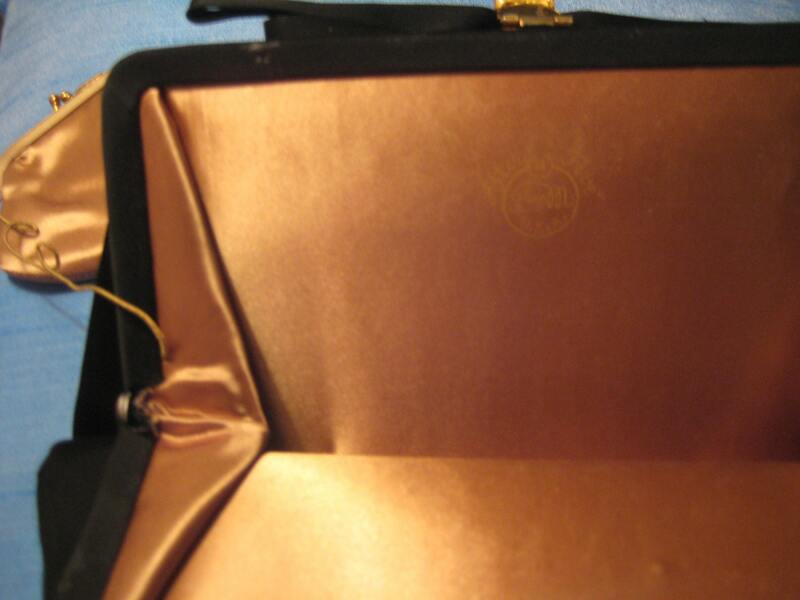 Embossed After Five label. A classic! Dimensions: 7 inches tall x 10 inches long along the bottom.